Clear Books Micro is a free online spreadsheet designed specifically for small businesses like yours. What’s great about Clear Books Micro? Rather than relying on holding onto all of your paper documents and receipts throughout the year, before handing them over in a big pile to your bookkeeper or accountant, with an online solution like Clear Books Micro it’s super simple to record your information on a regular basis. And for those of you who have long since given up on trying to keep hold of all those little scraps of paper, instead favouring a desktop spreadsheet for logging your financial data…well, it’s a solution for you too. Offline spreadsheets are undeniably cumbersome and a pain to email back and forth, not to mention the fact that this way of working is wide open to errors and miscommunication with your accountant. With an online spreadsheet like Clear Books Micro, however, there are no files to attach and no ‘latest versions’ to download – it’s all saved and stored securely in the cloud, allowing your bookkeeper or accountant to import your information into the solution they’ll be using. So, if you’d like to try out Clear Books Micro today and get a first-hand idea of how easy it is to use (and did we mention it’s completely free? ), just create your account here. 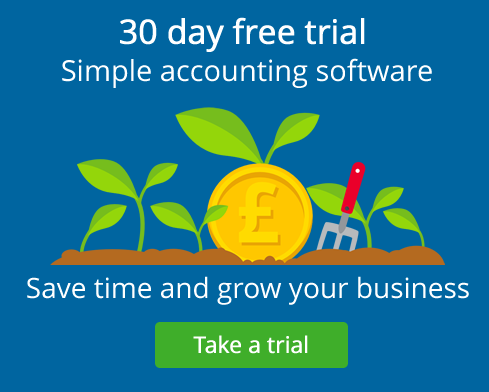 If you’ve never used any kind of online accounting solution or cloud software before now, we know it might sound a little tricky to get started, but there’s no need to feel daunted. We make sure our products are clear and simple to use for everyone, regardless of your technical knowledge, with no jargon in sight! We’ve also put together a detailed support guide video that walks you through every feature of the product, which you can watch below. And remember, if you do have any questions at all about Clear Books Micro and would like to speak to a real person, our support team is on hand to help – just get in touch!